Excess weight is a known risk factor for chronic diseases including heart disease, diabetes, high blood pressure, stroke and some forms of cancer. Evidence suggests that obesity has more than one cause - apart from wrong eating habits, genetic and psychological factors may also play a part. The hormone leptin, produced by adipocytes (fat cells), was discovered some years ago in mice. Subsequently the human Ob gene was mapped to chromosome 7. Derived from the Greek word 'leptos' meaning thin, leptin is believed to aid in controlling weight. As body fat increases, more leptin is produced, which acts to reduce food intake. As body fat decreases, less leptin is produced, which stimulates food intake and reduces energy expenditure. 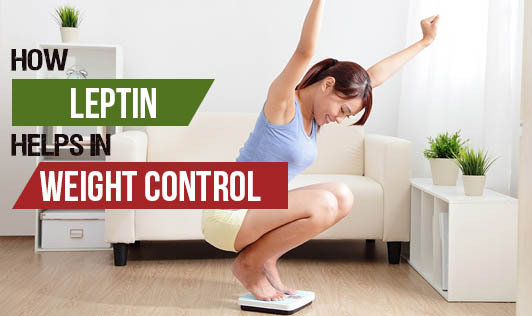 As the amount of fat stored in adipocytes rises, leptin is released into the blood and signals to the brain that the body has enough to eat - a kind of satiety signal. In mice, which overeat and are obese, the Ob gene is mutated and no leptin is produced. Under high fat conditions, leptin production is affected and the communication system between brain and fat cells breaks down. In the absence of a feedback through leptin, the brain thinks that the body is starving and this results in weight gain by increased food intake. Having said this, it's not fair to blame all excess weight problems on leptin! In most cases, poor eating habits, lack of adequate physical activity, yielding to food temptations, irregular timings of food intake, excessive partying and eating out are to blame for weight gain. If these factors are controlled, it's possible to lose the excess weight for a healthier you! Remember that maintaining a healthy weight is important through all ages.